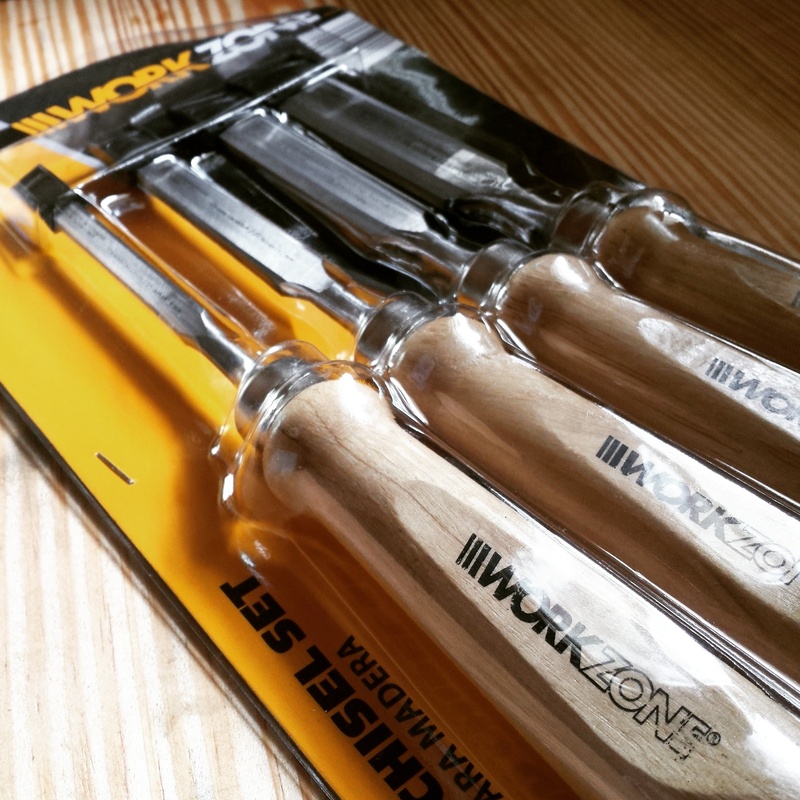 Last week, ALDI stores around the States once again did us all the favor of stocking a couple 4 packs of “Work Zone” chisels at each of their stores. Chisels from a grocery store? Apparently only handymen are allowed to use periods and complete sentences as well. Alas. First of, let me say they are cheap for a reason, but not the reasons this bloke was touting. They are cheap because they’re made off-shore. They are cheap because not a lot of thought is given to quality control in fit and finish. They are cheap because someone is probably getting paid too little to sit in a factory and pound these out. Some of those reasons are objectionable to me, but the chisels themselves are not. The Chrome-vanadium steel seems to be well tempered. 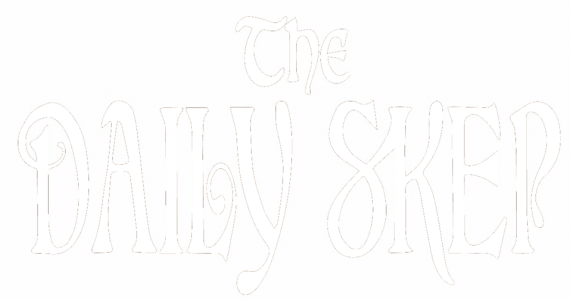 It takes keen edge and keeps it for a serviceable amount of time. 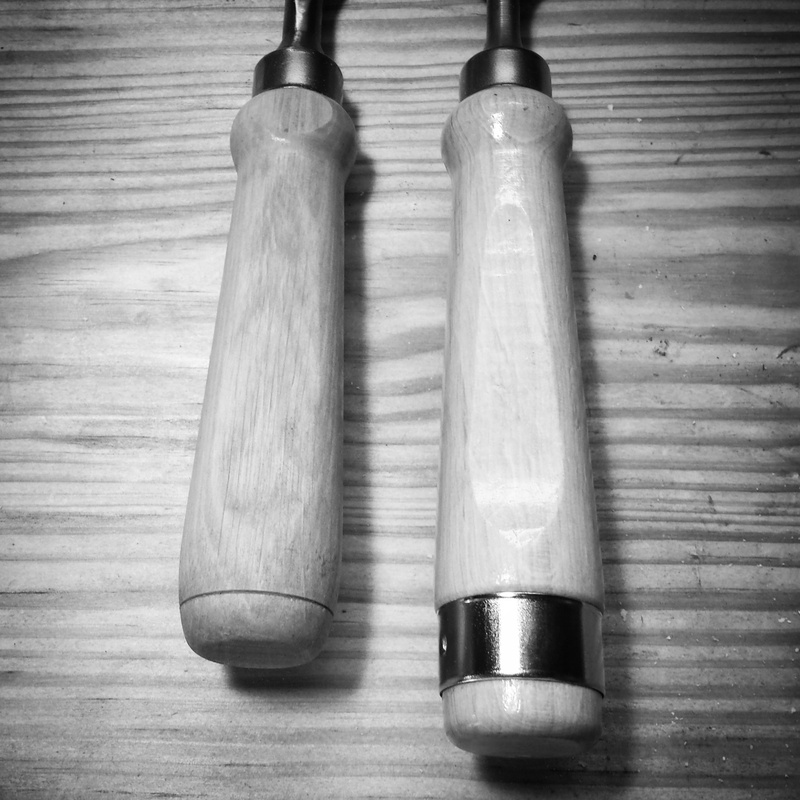 You can pass these down to your grand-kids, but like all chisels, they’ll need to learn how to sharpen them too. The machining is rough but the backs are all either flat or slightly concave so lapping them is a quick affair. I went the extra mile and sanded out the machine marks on the face, back and beveled edges to a decent polish. The handles, as they come, are ill-proportioned and covered in lacquer of some sort. The ring at the top is useless and they feel a little too long to me. They’re also round so they roll around on (and right off) the bench and the flattened part meant as a landing for your grip is rough. Seriously though, we’re woodworkers aren’t we? There’s some really fine ash under all of that mass-production. 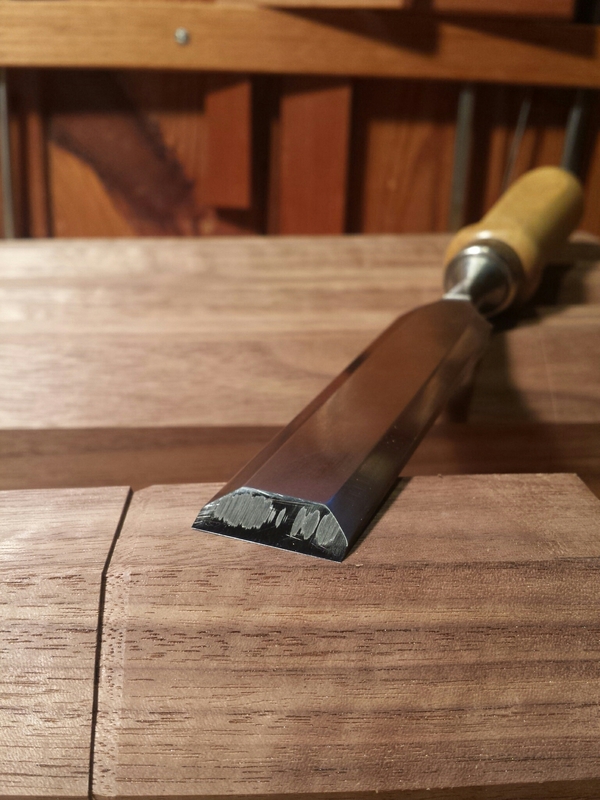 I popped off the ring with a nail-set and took 1/2″ off with my carcase saw. From there, literally fifteen minutes with a rasp, float and sandpaper can turn it into something like this. I added a few coats of BLO and soft wax over the next few days and it’s a decent (dare I say comfortable) handle. I put this 1″ chisel right to work and it has been reliable, comfortable and useful in every way you really need a chisel to be those things. So, they may be cheap for a reason, but a handyman (or handywoman) sure could do a lot worse. Next Post All ye lathe-less take heart! It’s weird how some things bother you. I didn’t care that this guy had a different opinion than me, but somehow I felt like he was calling me a liar. Whatever. Feud over. They’re certainly not my go-to chisels, but they are nice to have around because they’re a little longer and good for paring operations. 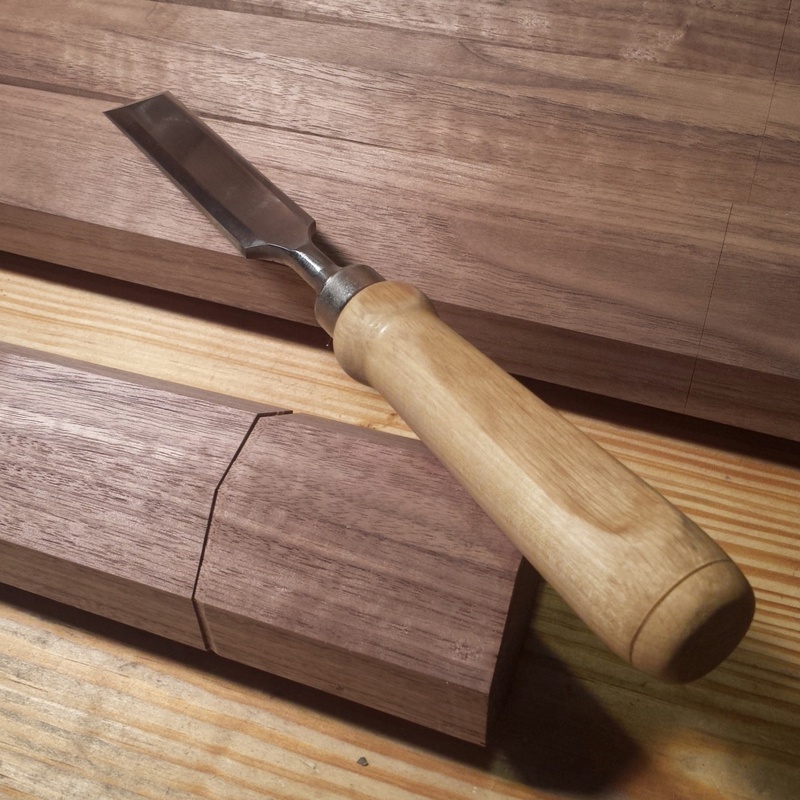 I’ve been considering turning a set into dedicated skew chisels for half-blinds, but I’ve also decided that once they’re tuned up, they’re good to have around as gifts for those interested in getting into hand tools. I got these last year out of curiosity. I liked them enough to completely rehandle them, and they do see a good amount of use even though they are not my primary chisels. I did buy 2 sets this year for a matched set of skews, but won’t be opening the packages until 2017 so I don’t violate the spirit of my “no net new tools in 2016” rule. I am of the “sharpen easy; sharpen often” school of edge retention so the fact these won’t hold up to A2 or PM-V11 doesn’t bother me.The CR-V comes back to life in about half a dozen strokes on my 8k stone. They are not that far off edge retention-wise from my daily drivers – vintage Sheffield O1 Marples chisels. I only have 2 complaints. One of which I fixed with my lathe, some 8/4 hardwood scraps, and some copper pipe (handles). The other of which is the lands are a little to large for very fine work. However to me the price point negates my right to argue that as a flaw. I like what you did with your handles. I’ll likely take that route with my skews. I’ve found them to be pretty close to my O1 chisels as well, which I prefer. I put off sharpening less when it’s quick work.